Large balance transfer credit cards are those credit cards which allow a customer a large credit limit. These cards then allow a customer to make a large balance transfer. The balance transfer can be from one, or from more than one, of their existing credit cards. Before the banking crisis began, being approved for large balance transfer credit cards, was often much more common for many UK customers. Back then, many more customers were approved for a new balance transfer credit card. The credit limits given to these new customers were also often much higher. This then allowed these customers to make a large balance transfer, like a £8000 balance transfer, for example. 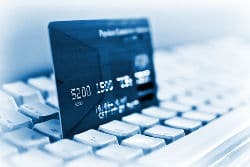 In today’s financial climate, it can often be more difficult than in previous years to get accepted for a credit card. The banks and credit card companies are generally more cautious with their lending. As a result they tend to approve customers with lower credit limits than in the years before the credit crunch. How can you increase your chances of successfully applying for large balance transfer credit cards in the UK in 2019? Large balance transfer credit cards are still available, although fewer customers will be able to get one. If you can meet the following criteria, your chances of applying successfully for large balance transfer credit cards increase. You have an income of £30,000 a year and 3 existing credit cards, each with £10,000 credit limits. Far better would be to have an income of £30,000 and one credit card with say a £8,000 limit and an outstanding balance of £6,000. Meeting all of the above criteria will help your chances of successfully applying for a larger balance transfer credit card. Which UK credit cards are large balance transfer credit cards? We have seen that all of the following featured credit cards can be generous with their credit limits. As a result theses cards can be classified as large balance transfer credit cards. It is important that you make your monthly payments to the credit card company on time every month. Many of the UK card companies will withdraw the 0% balance transfer offer if you miss any monthly payment. This applies with all of the above large balance transfer credit cards, and indeed for any other Visa or Mastercard balance transfer credit card. What Is The Maximum Balance Transfer Amount?